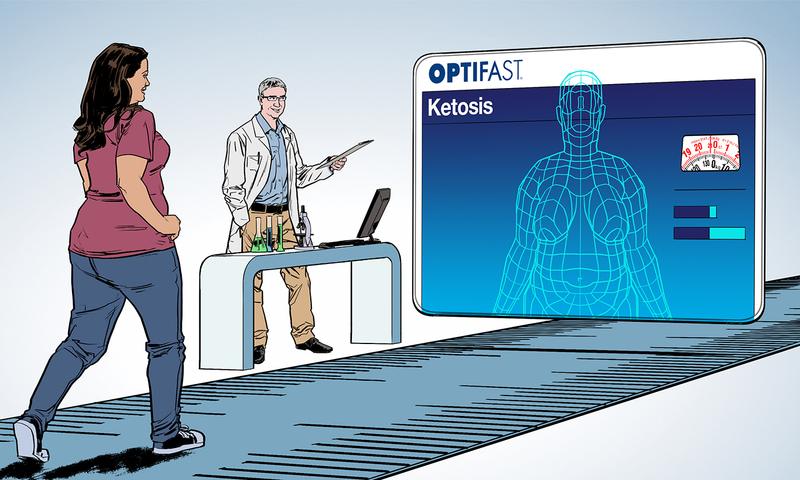 Nestle planned to create a 30 second Television Commercial (TVC) to promote their new weight loss product, Optifast. 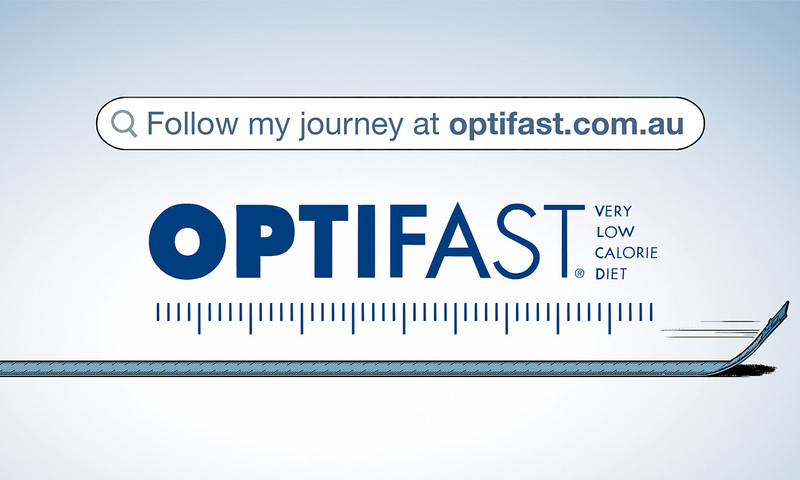 The Optifast program utilises a full meal replacement plan that transitions to self-prepared everyday meals, in conjunction with comprehensive patient education and support. 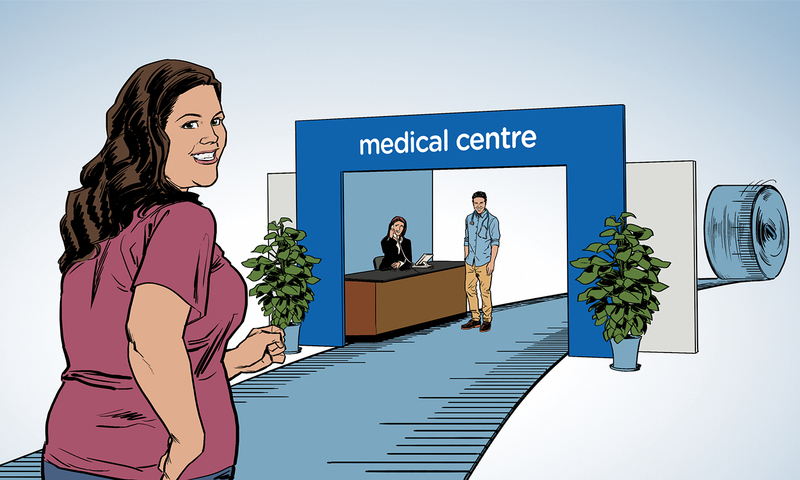 Nestle had a pre-prepared script and voice over for their TVC and wanted an illustrated storyboard to bring their vision to life, and to sell the idea to their investors. 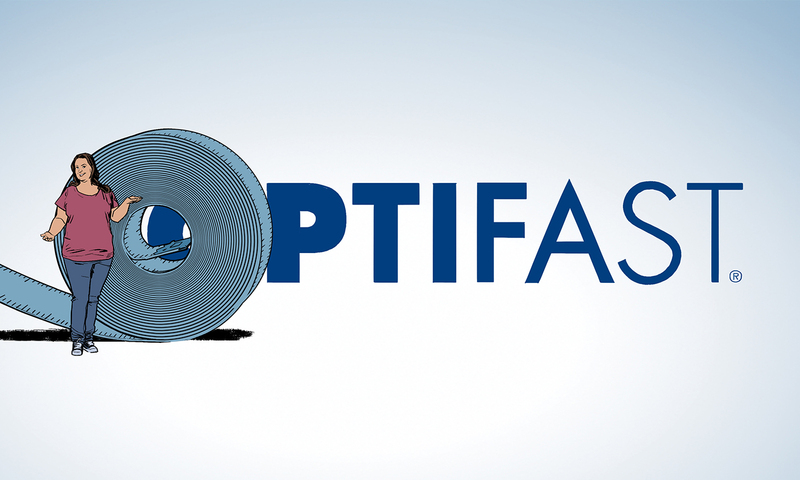 Open on Large Optifast logo, the ‘O’ is a giant measuring tape rolled up. We are introduced to an overweight woman, who speaks to camera. 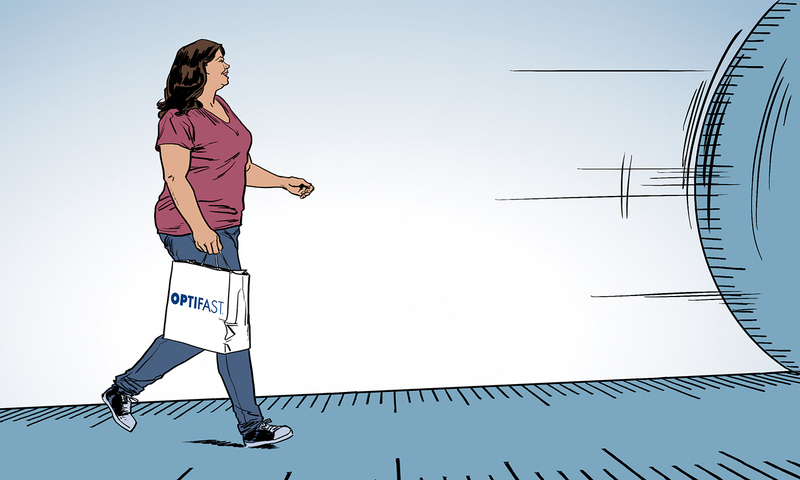 The woman lightly pushes the ‘O’ so it starts to unroll, forming a path for to walk on. As it unravels, scenes appear. We see a GP at his desk, and our hero gestures to him with a smile. 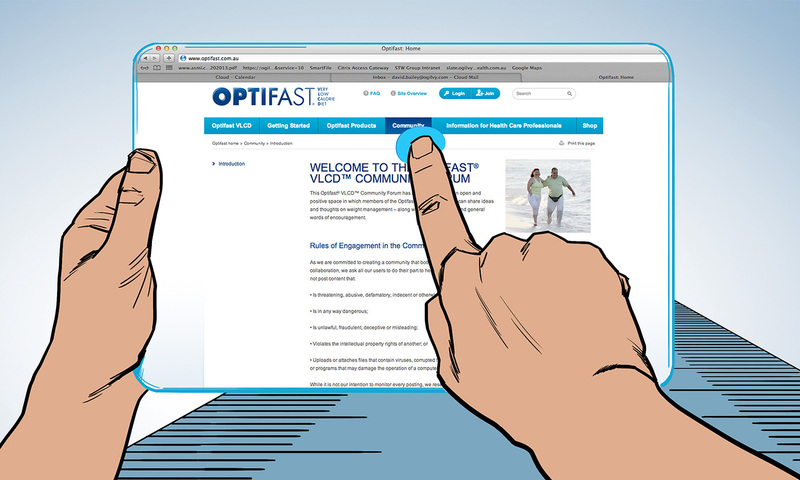 The VO says, "For my health, I need to lose weight, and a healthy weight starts with the Optifast program. It’s what my GP recommended because the Optifast program is scientifically proven to help people like me lose weight." The woman walks along the tape, and we see a “body burns fat” graphic as the woman stands to explain ketosis. 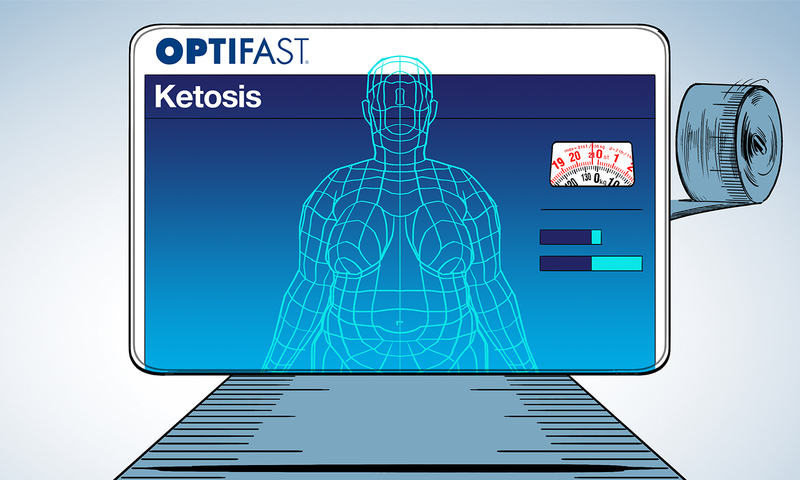 "…you see, it induces ketosis, which means your body burns fat, helping the weight come off fast." 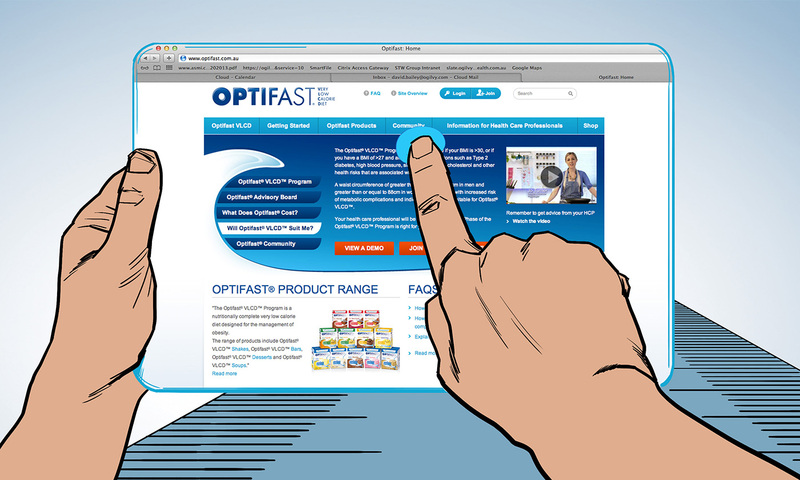 The graphic changes to the online support visual – Optifast.com.au website. 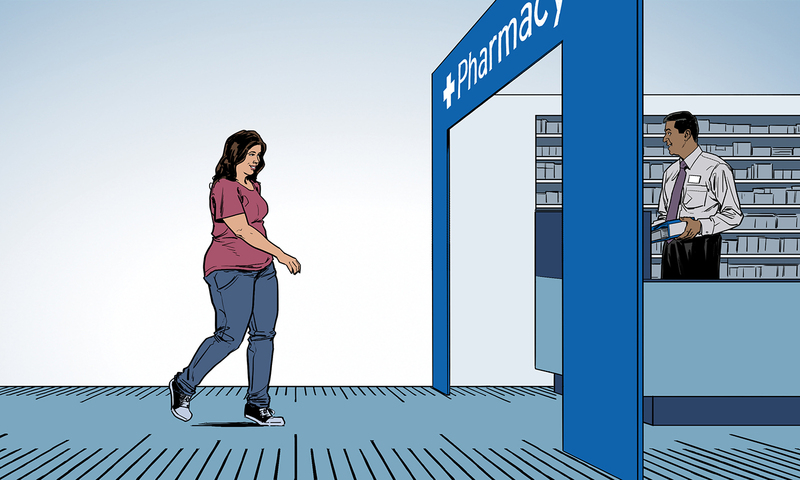 The tape path leads our hero to the pharmacist, where there is a stack of the product. 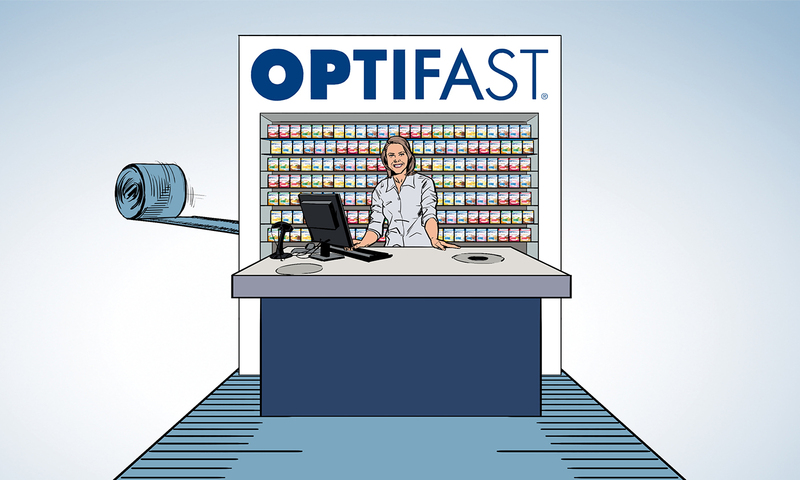 The friendly pharmacist hands her a pack of Optifast. 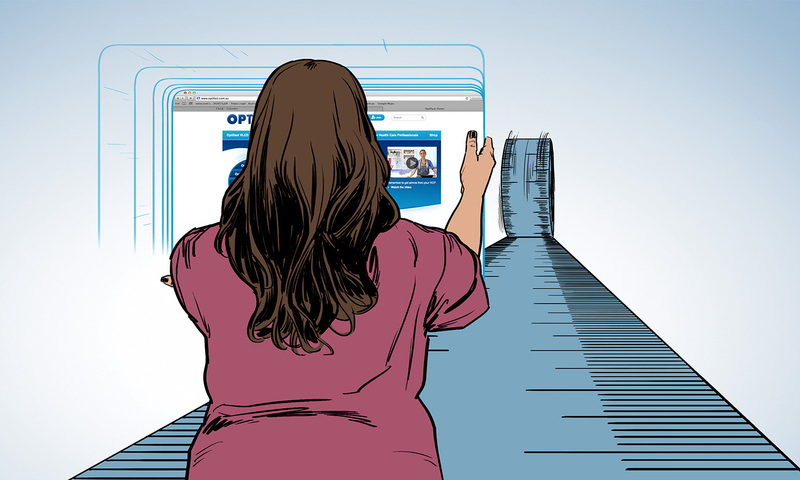 Nestle wanted to make the idea of losing weight with Optifast a breeze. They wanted a friendly, relatable character who was happy and optimistic about the progress she was making. 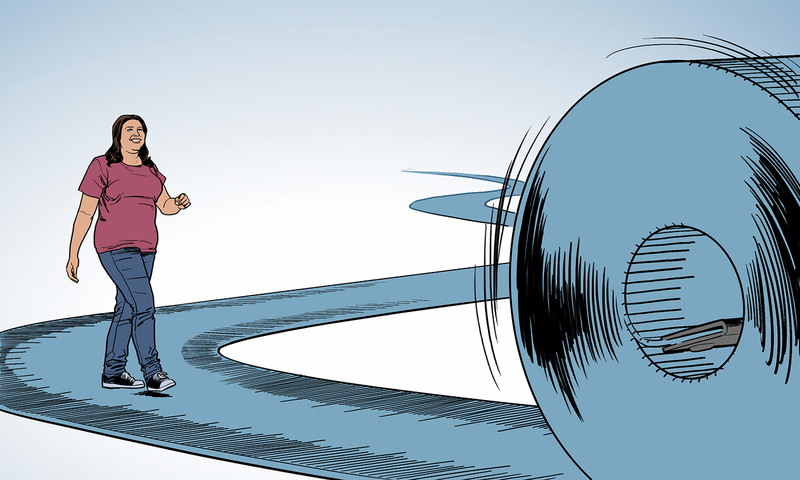 Using the motif of the measuring tape throughout the storyboard sequence, we developed the idea that the tape represents a path that you walk down on your journey to weight loss; step by step progress as it were. We used the corporate colours for the measuring tape and background, to reinforce the brand identity.